In 1954, a mid-year camshaft change increased the six cylinder engine from 150 HP to 155 HP. 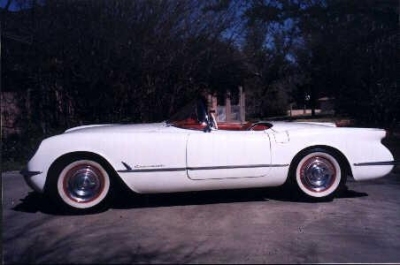 All 1954 Corvettes still had the Powerglide automatic transmission. A beige interior and a blue, red and black exterior color was added to the 1954 Corvette.